The Corcovado Collection designed exclusively by Kattri for Banneya London was inspired by the designer's Brazilian roots. 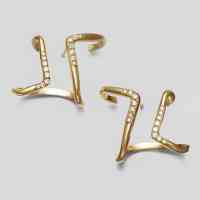 Working in the famous mountain's curves in her design, these fabulous earrings will sit beautifully around the lobe and dress your ears in style. 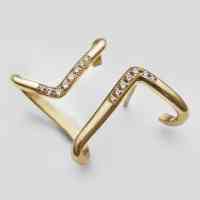 You can customise the Kattri earrings to suit your personal style. Choose from 18 carat yellow, white or rose gold, and a range of stones including diamond and pink sapphire for a bespoke pair of earrings.